Russia’s vast territory extends over land and sea, and even into foreign lands. In a slice of Norway’s Spitsbergen Archipelago, Russia enjoys special rights for industrial activity, and RT traveled to this remote and icy outpost to take a look. Russia took over coal-mining interests on the territory of the Spitsbergen Archipelago from the Dutch authorities during the Soviet period. And since the collapse of the USSR, the area has become even more important for Russia. A cluster of islands between the devil and the deep blue sea: for the USSR, Spitsbergen was a lot like Puerto Rico for the US – not entirely its own, yet not fully foreign. A former outpost between North America and Western Europe and, as many hope, a future base for Russia’s advance into the Arctic. To Western eyes, the statue of Lenin which still looms over the town of Barentsburg is a monument to failed Soviet ambitions. The settlement, once a flourishing mining community, is in a sorry state. Yet behind its peeling façade one can see freshly-painted writing on the wall that the Russians are not leaving. On the contrary, they intend to come back. “There was a time when the Soviet Union was feared and respected. You can’t turn back time, but Russia should also position itself as a strong state. People who visit Barentsburg should feel like they have stepped on Russian soil”, says Vitaly Troshenkov, who is busy painting an elaborate mural on the wall of a local kindergarten. 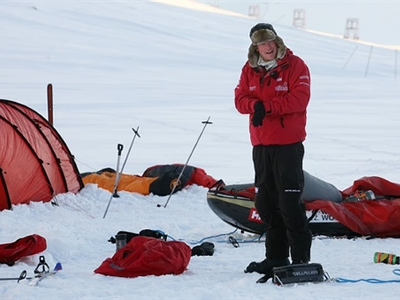 It is the second summer in a row that Vitaly is spending on Spitsbergen. His mural depicting Russia as an ark is meant to project an image of an unshakable state emerging from the dire straits of a troubled history. In a town that still experiences difficulties with running water and electricity, this choice of priorities would have been questionable if it was not geopolitically timely. Technically, that is already the case. Russian settlements on Spitsbergen have greener grass because of the several loads of black soil that were brought here from Siberia in Soviet times. However legally, this territory belongs to Norway, but a 1920 agreement guarantees its signatories the right to conduct industrial activity on the archipelago – an option fully utilized only by Moscow which has been mining coal here for decades. Soviet methods die hard. The mine’s equipment has not changed much in the last 50 years. The coal produced here has always been pretty expensive, but no-one ever thought of quitting. It has never been an issue of economics, but rather of politics. Moscow wanted to maintain its base on Spitsbergen at any cost. 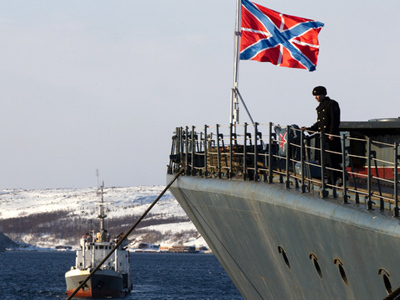 Now, production volumes have dwindled to just a fraction of what they used to be, but keeping a Russian presence on the archipelago is still considered a matter of strategic importance, RT’s Oksana Boyko reports. The settlement, which appears to have been frozen in time, retains much of the Soviet spirit and culture. “I’m 27 years old so I don’t have clear memories of the Soviet Union but I guess the Soviet spirit is very well preserved here. We have people here from Ukraine, Belarus, Central Asia and we all feel like citizens of one country,” confesses Dmitry Fitsura, one of the miners. Ironically, the attitude toward the mine’s profitability is also inherently Soviet. It has been a loss-making venture for decades, yet making it more efficient is politically inconvenient. “Coal mining is what allows Russia to be present on Spitsbergen. To be profitable, we need to mine three times as much coal as we do now, but since the deposits are finite we have to go slow,” says Alexander Veselov, director of ArcticUgl, the operator of the mine. 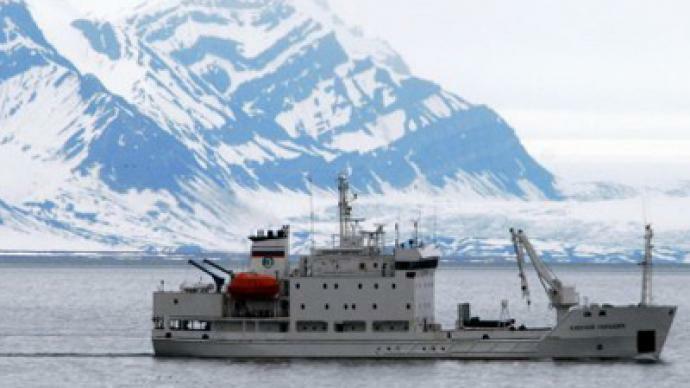 Meanwhile, Russia has notably increased funding of scientific expeditions on Spitsbergen in an effort to explore the archipelago’s natural riches. Nikita Boutoma is a geologist who first arrived in Barentsburg in the early 80s. The collapse of the Soviet Union made him trade geology for business but the recent increases in state funding allowed him to come back. 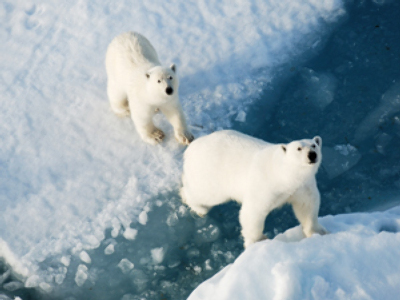 “Spitsbergen is a key to all the Arctic. Geographically, it’s a place where the global weather is being formed. Geologically, it’s a unique ground for science and mining. It’s rich in oil, gas and other minerals. It’s a place we simply can’t afford to lose”, stresses Nikita. And his country seems to agree, keeping this “key” close to its heart.